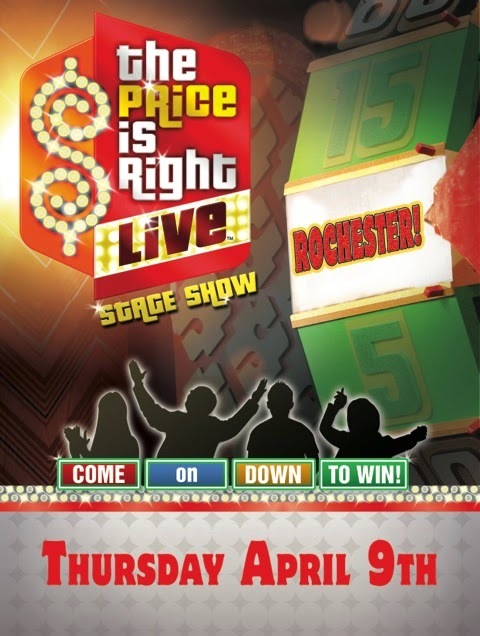 From Robot With Love: The Price Is Right Live! 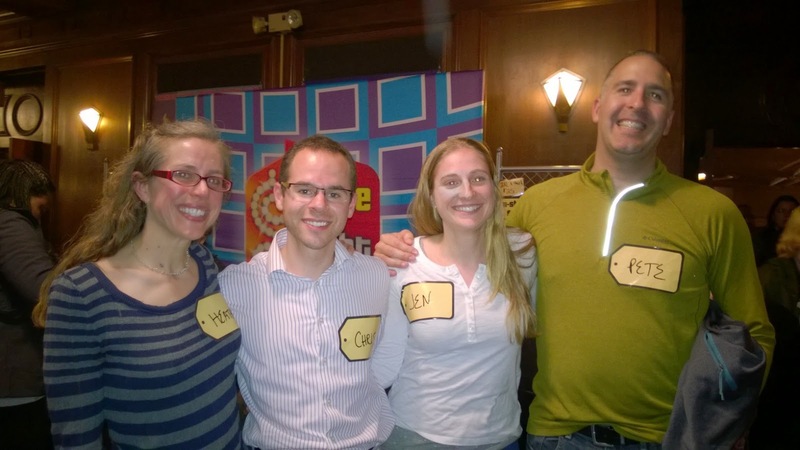 Last night, Chris, Heather, Pete and I went to see The Price Is Right Live at The Auditorium Theater. The Price Is Right Live is the traveling stage version of the TV show, so you get to see the Big Wheel, Plinko, all the same games and even the Showcase Showdown, but you don't get to see Bob Barker or Drew Carey. The prizes were real but the Mark Wahlberg was not the real Marky Mark. Our host was Mark L. Wahlberg. Of Antiques Roadshow and Temptation Island, not of The Funky Bunch/Calvin Klein underwear ads/all those movies. For some reason the announcer kept introducing him as "The one and only Mark Wahlberg." Even though he's not the only one and not even the hottest one. But he was a decently entertaining host, though of course no one can ever compare to the iconic Bob Barker. It was neat to see the games in person. They looked smaller and more retro than they do on TV, though possibly that's just my faulty memory. I haven't watched The Price Is Right in years. Sadly, watching daytime TV doesn't fall under my job responsibilities at work. The Big Wheel was smaller but louder in person. Unfortunately, the four of us didn't get to Come On Down! and be the next contestants on The Price Is Right. We didn't win any of the "instant winner" Target and Starbucks gift cards either. Oh well. The prizes at the live show aren't nearly as awesome as the ones on the TV show. None of the contestants really won big. One woman won $300 at Punch-a-Bunch, another woman won $250 at The Big Wheel and the Showcase Showdown winner went home with a new computer and printer (you have to guess the showcase price to within $100 to win the car or the vacation in the live version). 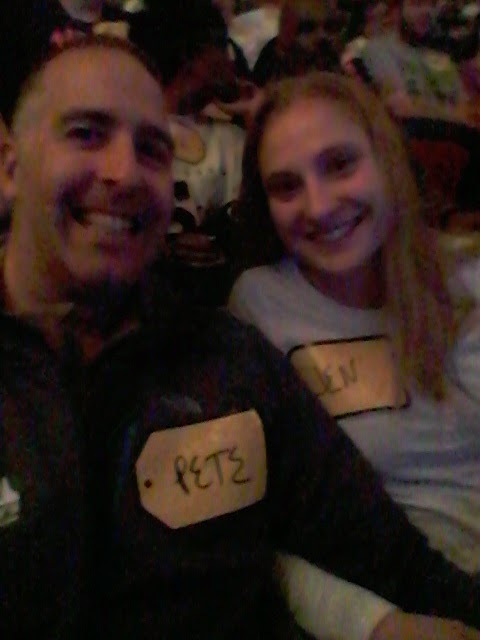 Part of the fun of TPIR is the audience. People were wearing all kinds of funny shirts, like "Two In The Plinko" and "I want to get lucky...on The Price Is Right." One of my favorite parts was watching clips from the TV show's history of most excited contestants. I love the people who go all crazy and are just completely beside themselves when their name is called. It's the best. No one in the audience last night was too crazy. Though one woman did do a hula dance on stage. Some of the people who were picked didn't even seem to know how to play the game. In the initial bidding game, one woman guessed $750 after the first contestant had already bid that number, then when Mark told her $750 was taken and she had to guess again, she guessed $749 (Face palm!). Like she didn't even know that the object of the game is to guess closest to the actual price of the items without going over. No one bid $1 either, which is always my favorite bid. I love it when the $1 bidder wins. We could have stayed after the show and paid $20 for a T-shirt and a chance to spin The Big Wheel. I totally wanted to do it but when I saw the line, I changed my mind. I'm not willing to wait in a long line to spend money. 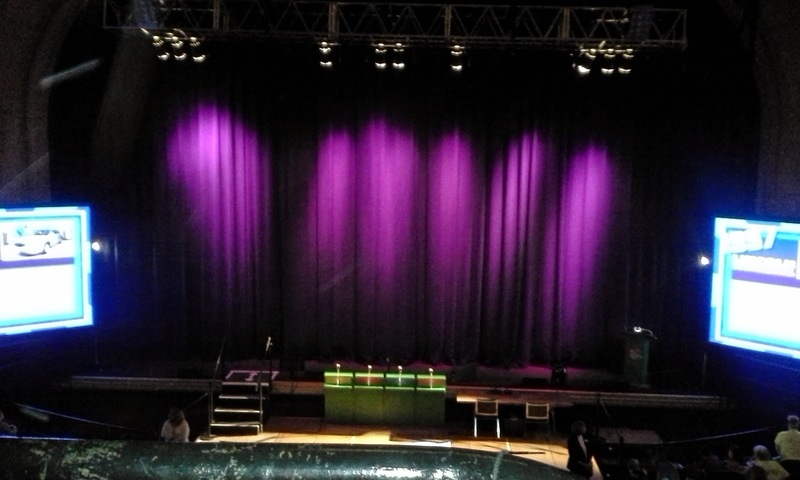 Even though we didn't get to play any of the games, it was a great night and front row balcony is my new favorite place to sit at The Auditorium. There's a little ledge in front of the seats that's the exact perfect height and length for my legs to stretch out fully. Plus I'm glad we got to see Chris and Heather before they head off to the Boston marathon next weekend! Lyric of the moment: "It's your night tonight. You can shine real bright if the price is right. I'mma live my dream, I've waited a long while for them to call my name and say come on down. I don't know if I'mma win the showcase but I better cuz I ain't tryna sit up in the audience forever so, if it's all the same I'mma chill up here til they call my name..."